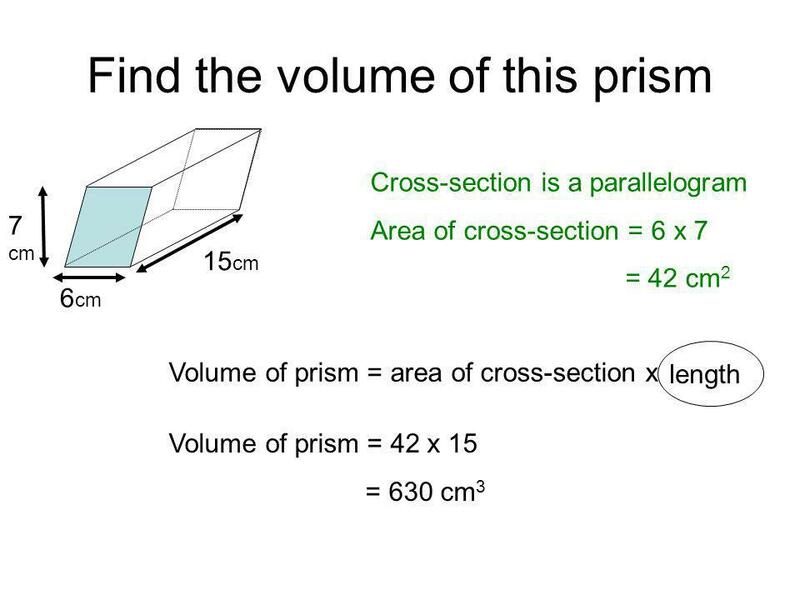 Objective: Be able to work out the volume of a prism. 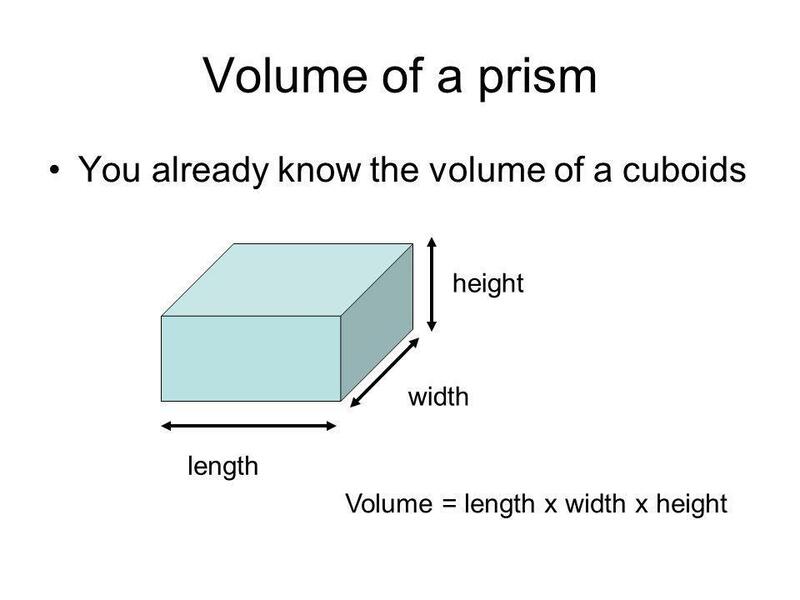 1 Objective: Be able to work out the volume of a prism. 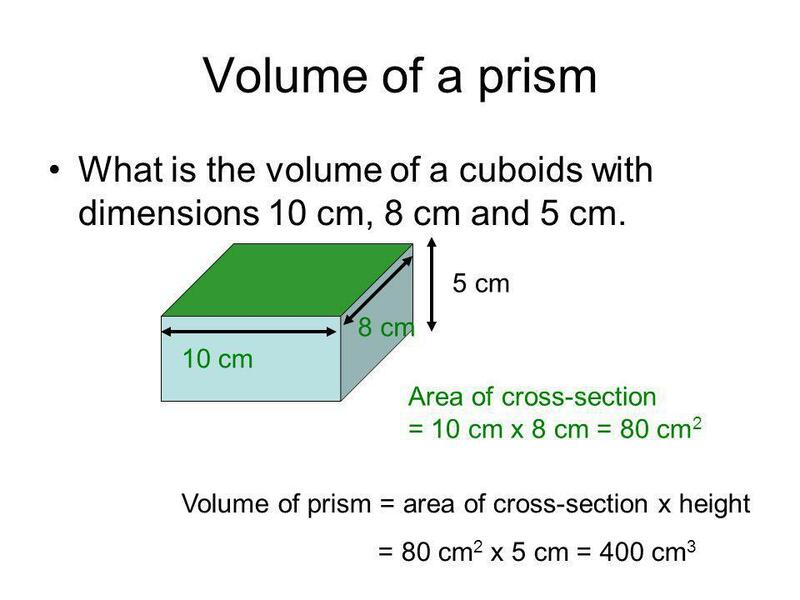 Volume of prisms Objective: Be able to work out the volume of a prism. 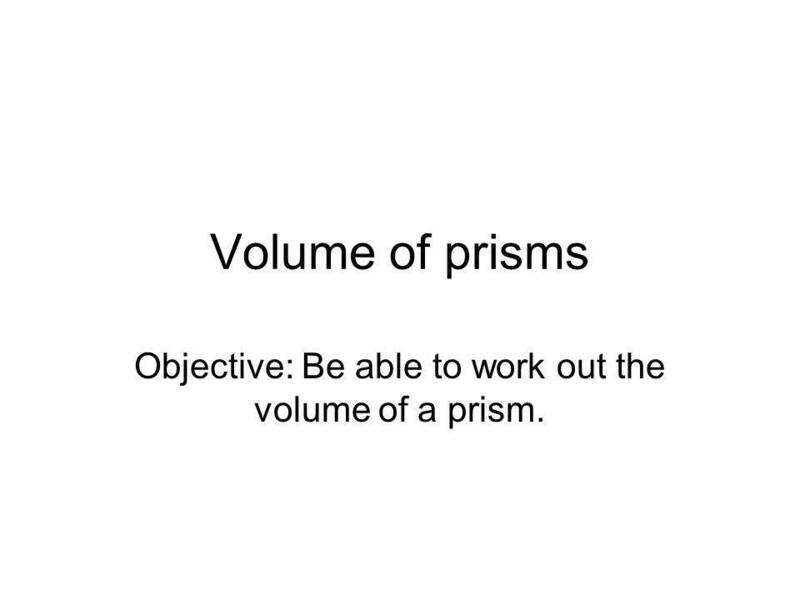 Download ppt "Objective: Be able to work out the volume of a prism." 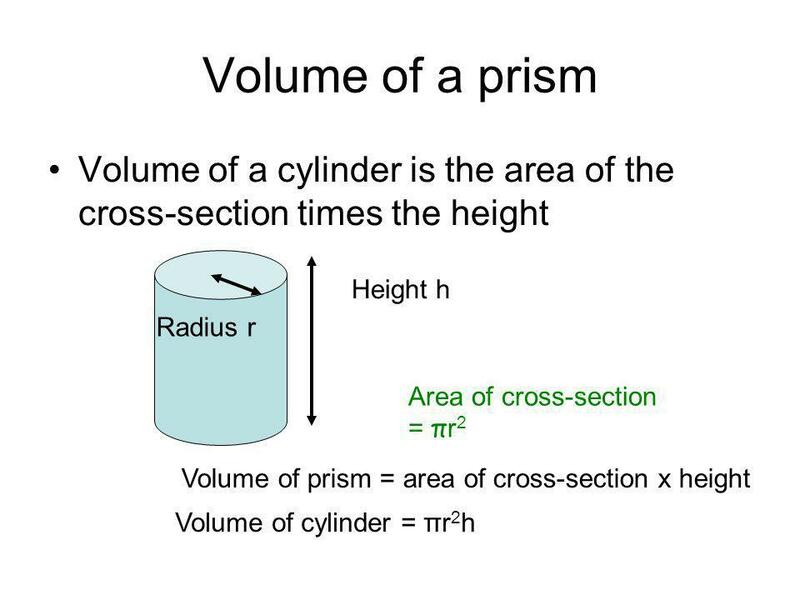 1.7 Introduction to Perimeter, Circumference, & Area p. 51. + Reminders Project due on Friday. 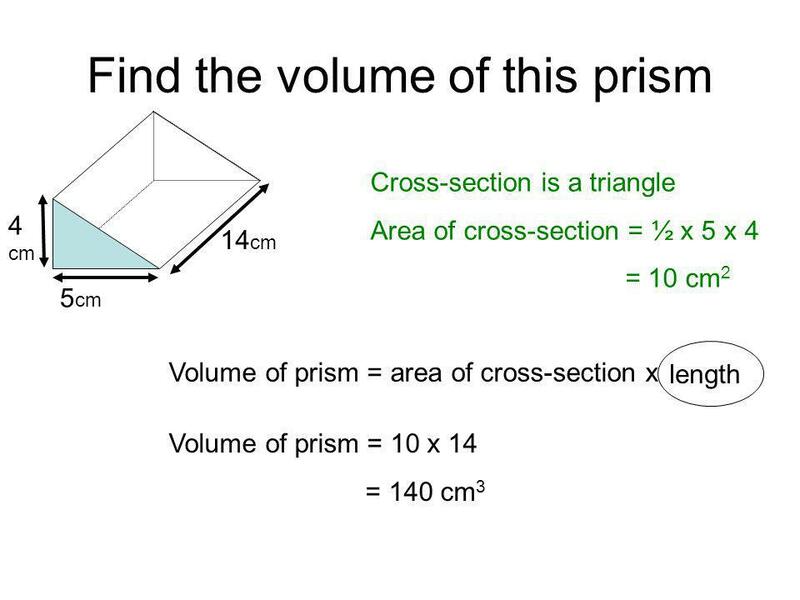 If you would like extra feedback from me, you are welcome to show me what you have before Friday and I will help you. 20 pt 30 pt 40 pt 50 pt 10 pt 20 pt 30 pt 40 pt 50 pt 10 pt 20 pt 30 pt 40 pt 50 pt 10 pt 20 pt 30 pt 40 pt 50 pt 10 pt 20 pt 30 pt 40 pt 50 pt 10 pt. Area Area problems involve finding the surface area for a two-dimensional figure. 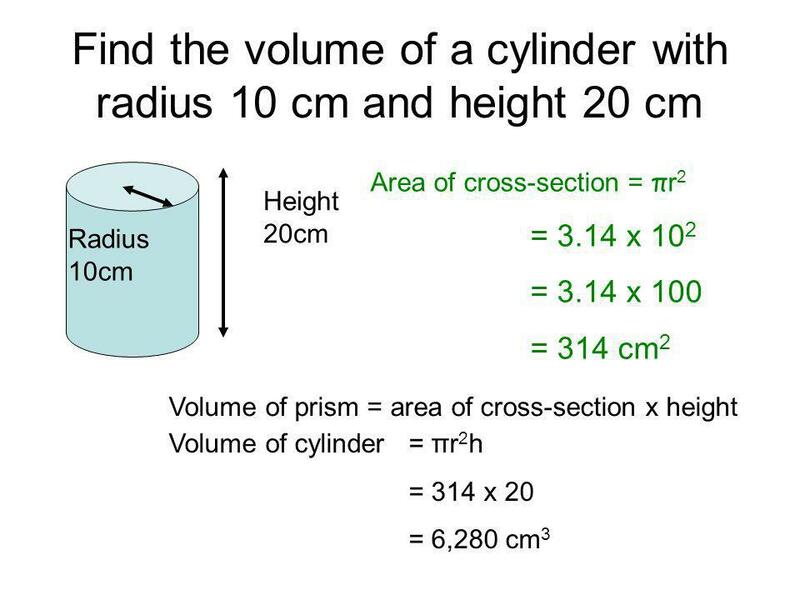 Surface Area of a cylinder Objective: Be able to calculate the surface area of a cylinder. 12 – 3 Cylinders and Cones.